If you’re looking for a new general dentist in Fuquay-Varina, you’ve come to the right place! Our doctors and staff combine the skill and expertise you expect from a healthcare professional, and the compassionate care you expect from a friend. We pride ourselves in staying on the cutting edge of dental technology to bring you and your family the best dental solutions on the market. For quality dental care served with a big friendly smile, come on in and see us at Fuquay Family Dentistry. As your family’s dental health professionals, it is our duty to share the latest information and educate our patients in our mission for health. Today more than ever before, the link between oral health and overall health is strong and evident and backed by the scientific and healthcare communities. What we want you to know, and what most of our patients don’t realize, is that the mouth is the gateway to the rest of the body. Therefore, any bacteria or disease that is allowed to remain in your mouth has a direct pathway to your internal organs and can have serious consequences for your systemic health. For example, gum disease, which is one of the most common chronic diseases affecting American adults, can greatly increase your risk of serious health problems including cardiovascular disease, heart attack, stroke, and diabetes. Brush thoroughly for at least two minutes—we recommend an electric toothbrush (Sonicare® is our favorite, and don’t forget to brush the tongue to get rid of morning breath). Avoid highly acidic foods and beverages and those that stain. Brushing after each meal is recommended, or at least swish with water to reduce plaque and bacteria that cause tooth decay (chewing gum containing xylitol is also beneficial). Floss thoroughly before your nighttime brushing to remove plaque between teeth. Your Fuquay-Varina dentists are firm believers that prevention is the best medicine. We would much rather see you twice yearly for regular exams and cleanings than see you every few years and have to perform extensive and costly restorative procedures. Maintaining your oral hygiene every day and keeping up your regular appointments will ensure optimum oral health, and save you a boatload of pain, money, and time spent in the dental chair down the road. Thorough examination of your teeth and gums helps us check for signs of tooth decay, gum disease, oral cancer, and any other changes that might be potentially problematic. Deep cleanings help us remove plaque and tartar buildup on tooth surfaces, between teeth, and along the gum line. We always check the health of any existing fillings or other restorations. X-rays help us gain deeper insight into the health of teeth, tooth roots, and bone beneath the gums. Gum disease, periodontal disease, or periodontitis are all forms of a common chronic oral disease affecting the gums, teeth, and oral health. Gum disease is reaching epidemic quantities in America. Over half of the adult population is suffering from gum disease, and an alarming number of cases remain undiagnosed. What many patients don’t realize is that the dangers of gum disease reach much deeper than just your gums and oral health. Gum disease left untreated can have serious implications on your overall and systemic health. That’s why it’s important to seek treatment before it progresses. Gum disease is caused largely by poor oral hygiene—plaque that is allowed to remain on the teeth and gum line turns into tartar, which irritates the gums to the point where they begin to recede. 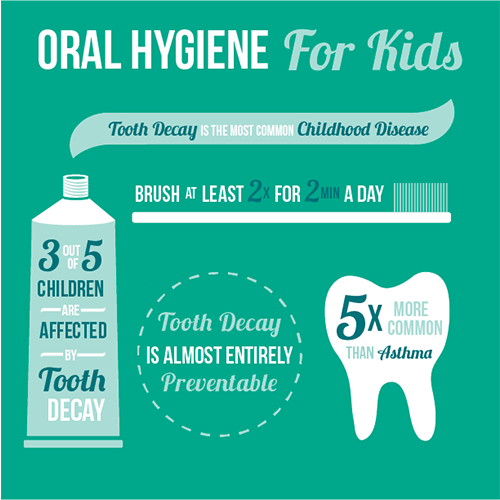 Thankfully, we can help prevent and treat gum disease with deep cleanings and more to get your gums healthy. Oral cancer is one of the deadliest forms of cancer because it is usually not detected until its later stages. Some of the symptoms may resemble a cold sore or gum disease symptoms, or you may not even see or feel anything at all. Abnormal cells often go undetected and undiagnosed. That’s why we’re dedicated to providing regular oral cancer screenings for our patients—so you can have peace of mind. HPV now outweighs tobacco and alcohol consumption as the leading risk factor for oral cancer. 25% of oral cancer patients have no known risk factors. 1 American dies every hour from oral cancer. We look for any changes or abnormalities in your mouth at every exam, so we can catch small problems before they progress. Whether you or your little mini-me is the star athlete in the family, we highly recommend a custom mouthguard for playtime protection. Oral injuries including broken and knocked-out teeth are all too common in contact sports, and store-bought mouthguards do not provide a customized fit or adequate protection. Custom mouthguards may even reduce the risk of concussions by 50%. If you’re not into sports, but you do clench and grind your teeth at night (many of us do! ), you could benefit from a custom nightguard. A nightguard provides a soft cushion between your top and bottom teeth, minimizing pressure and reducing the impact of worn-down teeth over time. Nightguards are also great if you suffer from TMJ/TMD, providing relief from chronic tension and jaw pain. At Fuquay Family Dentistry, we’re happy to welcome your little ones to join our practice starting at age 3. However, we do recommend babies see the dentist as soon as their first tooth emerges, so we would be happy to refer you to a local pediatric dentist in Fuquay-Varina in the meantime. We know these early dental experiences are formative, and our team is friendly and gentle to create positive feelings about the dentist. Regular cleanings and exams ensure everything is developing properly so we catch small problems before they progress. Fluoride treatments help remineralize the teeth to reduce their risk for tooth decay so we won’t have to fill cavities. Sealants protect the teeth most prone to cavities, so they can spend their time worrying about… you know, kid stuff! Tooth-colored fillings, pulp therapy (baby root canals), crowns, extractions—whatever they need, we’ve got you covered. If you have any questions about the link between oral and overall health or any of the general dentistry services we offer, please contact your Fuquay-Varina family dentists, Dr. McCormick, Dr. Meunier, and Dr. Adams at Fuquay Family Dentistry today. If you’re in the Fuquay-Varina or Holly Springs area, you can request an appointment right from our website for your convenience. We look forward to smiling with you!